Home pitch performance is one of the main reasons for why Oakland is so successful this year and for the time being, they need not to worry about divisional rivals overtaking them. Tonight they will be trying to win the fourth match in a row against Minnesota and 13th overall, to sweep the visitors and consolidate their position. With 72 victories to their name, they have a significant advantage over runner-up Baltimore and they’re very likely to win their division, is not the conference. The American League is more competitive than ever before, with household names such as the Yankees and Boston Red Sox still trying to claw their way back in the playoffs race. Meanwhile, Oakland and Los Angeles Angels have emerged as strong competitors for the World Series and they looked like a lock for the playoffs. The A’s have greatly improved their production of runs, which made it much easier for starting pitchers and players in the bullpen to consolidate their numbers. Jason Hammel will take the mound for the hosts tonight, confident in his teammates’ ability of providing him with enough runs of support. They didn’t disappoint him in the first three games so far, with Oakland scoring a total of 18 runs and shutting down the Twins once. On the other hand, the hosts have good reasons to worry about Jason’s ability to pitch deep in a game, after winning a single decision of the five and allowing opponents to score an average more than seven runs per match. He will be opposed by Hughes who used to play for the New York Yankees and now wears a Minnesota jersey, but he looks to be only a shadow of his former self. On the bright side, Phil has a winning record and claimed 11 victories in 19 decisions, but an ERA of 4.01 is not exactly ace material. The biggest concern for the visiting team and their starting pitcher is that the Twins don’t seem capable of scoring too many runs, even against a not so successful opponent such as Jason Hammel. This is the kind of match that punters should steer clear of, especially if they plan on betting on the outright winner, because the odds for Oakland to prevail are ridiculously low. They are indeed in great form and have an outstanding home record, but 1.60 is not good enough with such a starting pitcher. On the other hand it is difficult to give credit to Minnesota, a team mired in a three games losing streak and extremely ineffective against the A’s. A valid option for those who can’t refrain from placing a wager on this fixture is to bet on more than 7.5 runs to be scored. Bookmakers are offering odds of 1.80 for this outcome, which is significantly better than betting on the hosts to prevail. 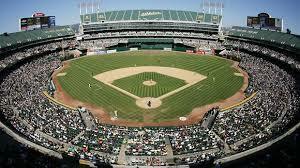 If Oakland wins, it is very likely do it by a wide margin, so the total runs wager will also prove profitable.